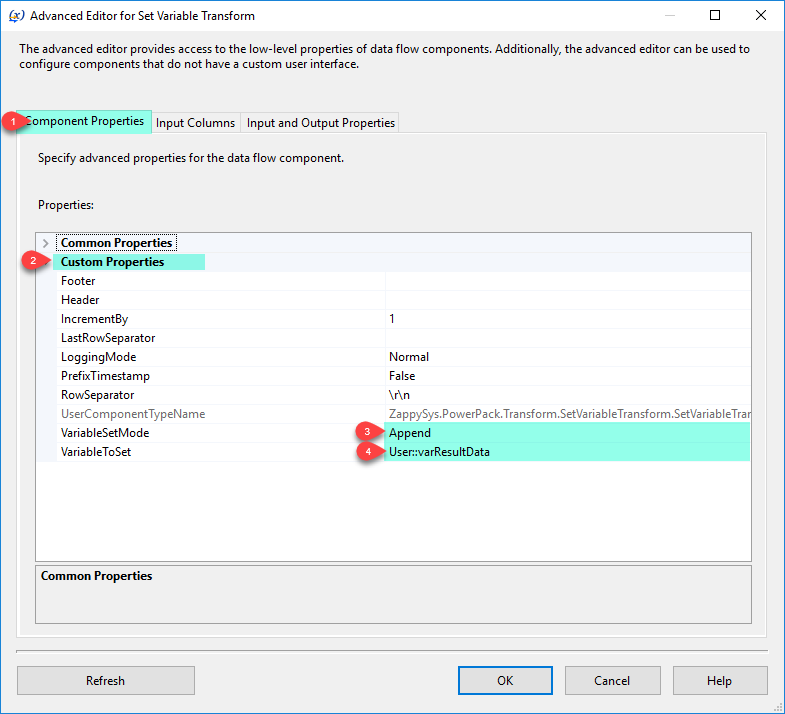 SSIS Set Variable Transform (FREE) can be used to set variable inside SSIS Data Flow Task. This transform supports few modes such as Set, Increment, Append, Replace etc. When you enable this property it will prefix timestamp before Log messages. Separator to use for Append mode (not valid for other mode). You can use \r\n for new line, \t for tab, \n for unix style new line.